In this section you’ll find special tours for seasoned travelers and longer outings. I’ve worked with chefs, researchers, bartenders and lots of people interested in special subjects. Below you’ll find some examples of places I’ve taken people to. If you still haven’t found what you’re looking for in this section, or have a very specific idea of what you want to see and eat please feel free to send me an e-mail. I wanna hear your ideas so I can come up with an amazing tour for you! This is for people who basically travel to eat. Tour starts at 10:00am and it goes until 6:00pm . We meet at Roma neighnorhood to have breakfast foods, followed by a ride in the metro towards the flower market and then hoping to Merced Market (the 2nd biggest market in town), then we’ll walk through the Historic Centre and finishing with a visit to some of the best examples of Restaurants with Modern Mexican Cuisine in Juarez neighborhood. Think of this as a marathon, not a race. (Price $190usd per person). You know, just the biggest wholesale in the whole world NBD. Located within the city in the south-western area, going to this tour involves walking up really early (6:15am) and walking a lot while dodging the fast carriers through narrow isles. It also includes a look around the biggest open air art exhibition in the world. (Prices range between $99-$120usd per person). This is a half a day tour, hosted by Jorge Córcega and his family in the southern outskirst of the city, Milpa Alta. 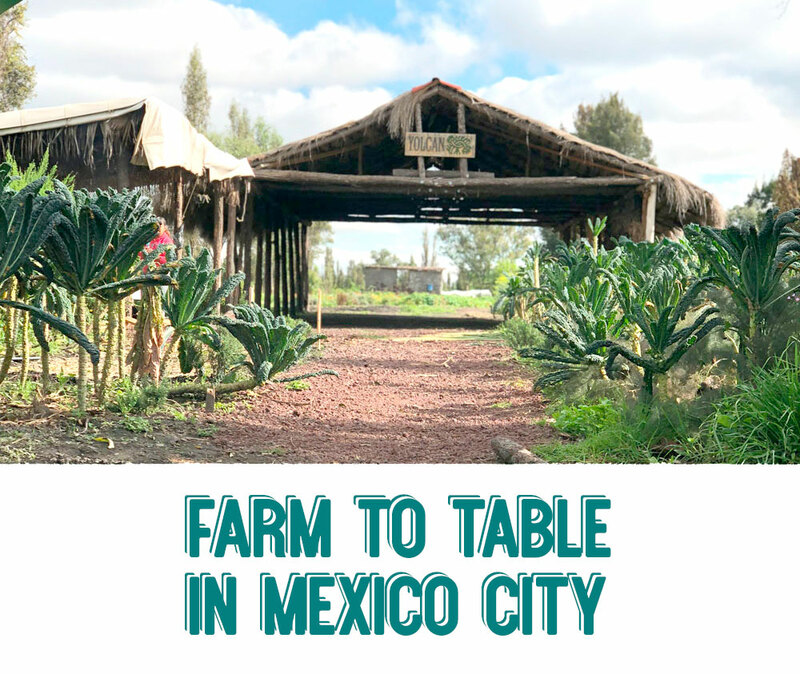 Starting around 7:00am (up until around 5:00pm), we’ll drive down south to an experience where you’ll be harvesting of your own nopales (cactus), learing about corn and nixtamal from the producers, see how mole it’s made and try great foods from the source. (Prices range from $160-$190usd per person). Or we could pay a visit to Yolcan to see where some of the ingredients used in the best restaurants in town are grown and harvested. This is an opportunity to see the ancient farming method of chinampas. This is a special tour only for groups of 10+ that includes Breakfast foods, quesadillas and after the visit to Yolcan a ride in the Trajineras with some beers. (Price is $100usd per person with a minimum of 10pax).